These lyrics were never meant to be taken lightly. They were written to be a prayer of a generation scared to death of doing what God called them to but even more scared of not trying. Their purpose was to shake us up, make us uncomfortable, and move us to action. Instead, we’ve made them into Pinterest quotes that make us feel good. But what if church isn’t supposed to make us feel good? What if worship songs aren’t meant to be clever photo captions or pretty wall decorations? What if the entire point of this whole thing is to flip our world upside down and move us past our nice feeling comfort zones? I stopped singing that morning when the band played Oceans. Instead, I began praying. I told Jesus those lyrics terrified me. I told him I didn’t feel comfortable singing them if I didn’t mean them and I didn’t know if I meant them or not. The fear inside me to give over my comfortable life was greater than the desire to go deeper. Fear kept me from singing something I wanted to be true but knew wasn’t. Jesus knew how the story was going to end. He knew he would be betrayed by his closest friends, beaten an inch shy of death then left to be publicly shamed while he suffocated in front of the entire city. He also prayed a prayer like mine. Knowing the God I worship went through what I’m going through changed things for me. Jesus was more scared than any person on earth has ever been. His anxiety was so high that he began sweating blood. Can you imagine how high his blood pressure must’ve been for that to happen? Even so, with all that fear and anxiety, he still said the most impactful prayer ever prayed: Not my will but yours be done. 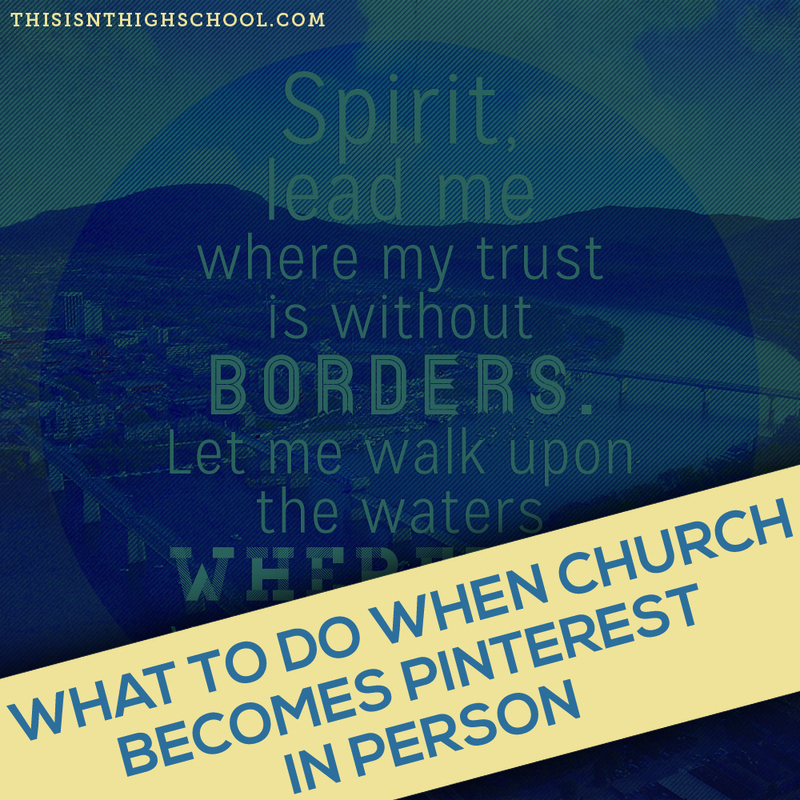 Following Jesus isn’t about pretty pictures on Pinterest that make us feel good. Following Jesus is about getting past ourselves, swallowing our fear, and going deeper than we’d ever go on our own. Have you ever taken a minute to determine if you really mean the songs you’re singing? Have you thought about what following Jesus actually looks like? Have you ever realized he was scared too?